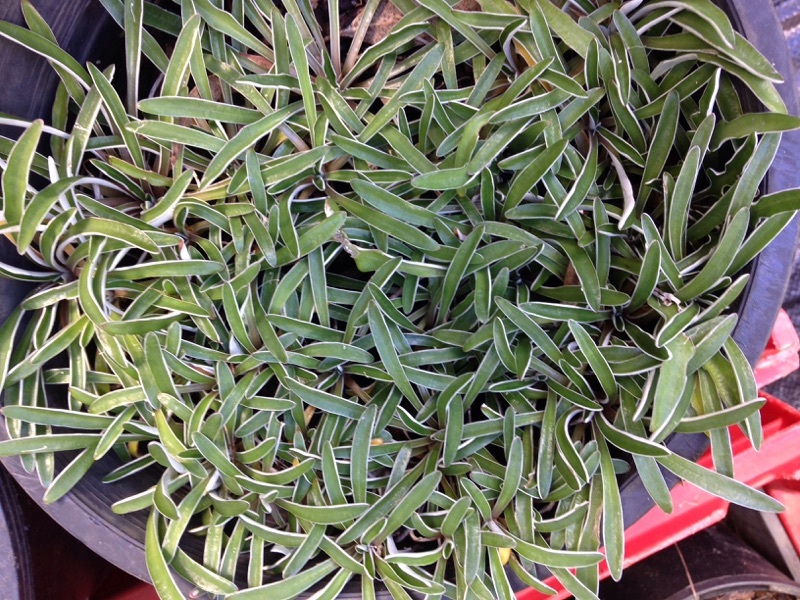 This is a slowly spreading, very flat (just a few inches tall at best) groundcover with 1-2 inch long narrow leaves, that are a gray-green on top with white tomentosa beneath. Though flat to the ground, the white undersides are exposed to view as the leaf margins edges roll up and inward, particularly, when grown dry and thus giving the plant an appearance of being variegated. Small yellow daisy flowers bloom amongst the foliage in summer. Plant in full sun to light shade in a well-drained soil. This plants grows rapidly with irrigation, but it has deep succulent roots and can be very drought tolerant, though notably slower growing. It is hardy to about 25-30 degrees F. About the only things that this plant does not tolerate well is a heavy or otherwise non-draining soil and gophers. The tiny leaves in the middle of the photo appear to be Baby Tears, a creeping, mat-forming, evergreen perennial of the nettle family. It is native to certain islands in the western Mediterranean, primarily including Corsica and Sardinia. Winter hardy to USDA Zones 9-11 where it is easily grown in rich, organic, consistently moist but well-drained soils in part shade to full shade. Performs best in bright but indirect light. Best in climates with daytime temperatures of 60-65 degrees F. and night time temperatures of 50-55 degrees F. Plants are intolerant of frost. Leaves remain evergreen in USDA Zones 10-11. Works well indoors as a houseplant because it thrives in low-light conditions. May be grown as an annual in areas with cold winter conditions. 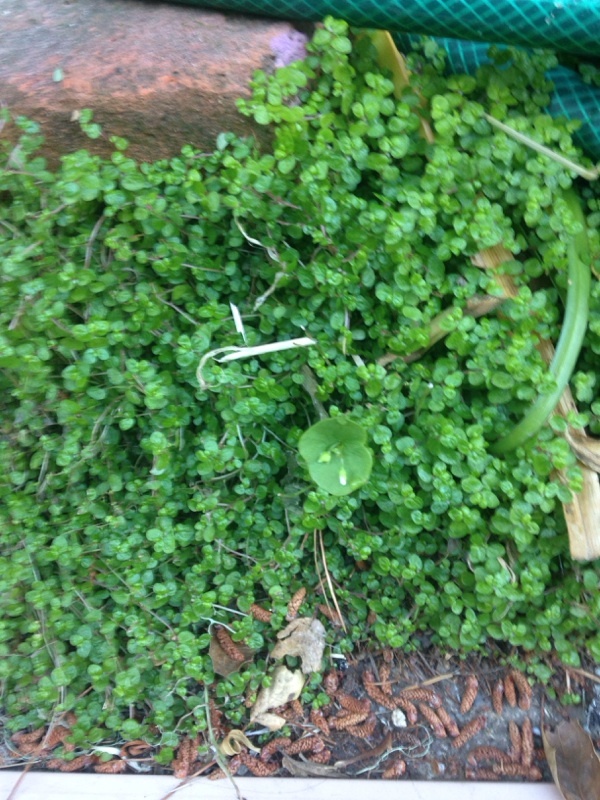 This is a slowly spreading, very flat (just a few inches tall at best) groundcover with 1-2 inch long narrow leaves, that are a gray-green on top with white tomentum beneath. Though flat to the ground, the white undersides are exposed to view as the leaf margins edges roll up and inward, particularly, when grown dry and thus giving the plant an appearance of being variegated. Small yellow daisy flowers bloom amongst the foliage in summer. Plant in full sun to light shade in a well-drained soil. This plant grows rapidly with irrigation, but it has deep succulent roots and can be very drought tolerant, though notably slower growing. It is hardy to about 25-30 degrees F. About the only things that this plant does not tolerate well is a heavy or otherwise non-draining soil and gophers. 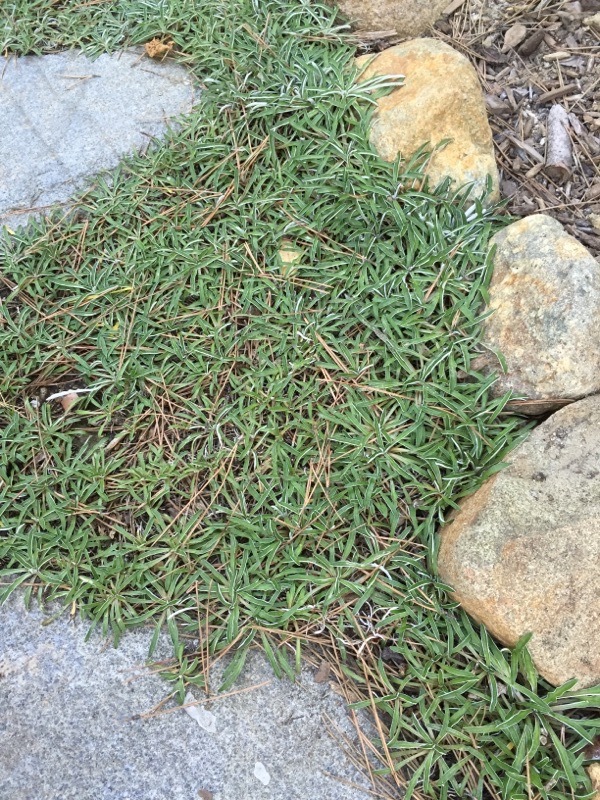 This is a slowly spreading, very flat (just a few inches tall at best) groundcover with 1-2 inch long narrow leaves, that are a gray-green on top with white tomentosa beneath. Though flat to the ground, the white undersides are exposed to view as the leaf margins edges roll up and inward, particularly, when grown dry and thus giving the plant an appearance of being variegated. 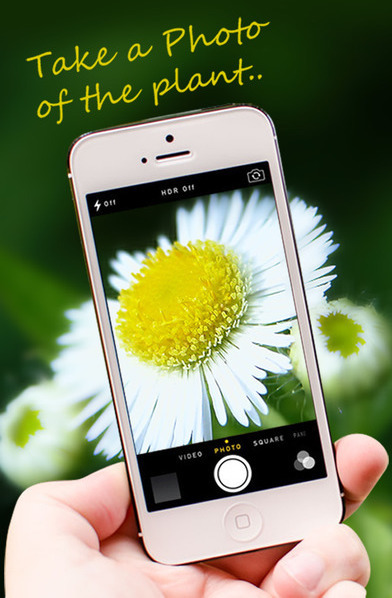 Small yellow daisy flowers bloom amongst the foliage in summer. Plant in full sun to light shade in a well-drained soil. This plants grows rapidly with irrigation, but it has deep succulent roots and can be very drought tolerant, though notably slower growing. 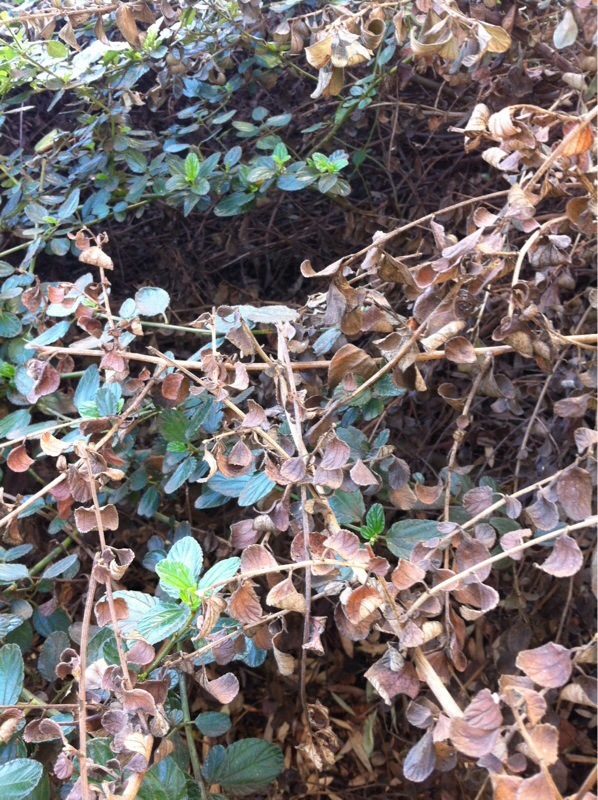 It is hardy to about 25-30 degrees F. This is a wonderful ground cover and highly recommended for Southern California. 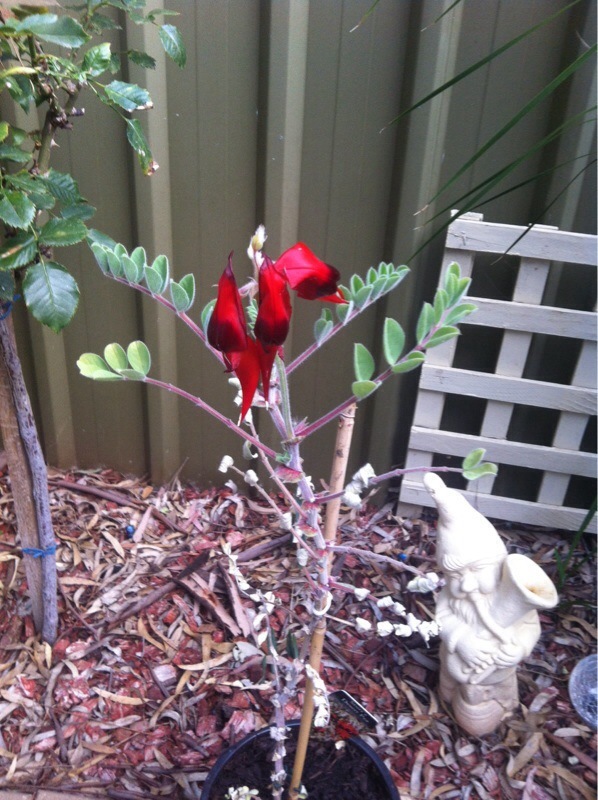 Sturt's Desert Pea, Swainsona formosa, was adopted as the floral emblem of South Australia on 23 November 1961, using the name Clianthus formosus. This species, a member of the pea family, Fabaceae, is confined to Australia, where it occurs in all mainland States except Victoria. Captain Charles Sturt (1795-1869) noted the occurrence of Swainsona formosa in 1844 while exploring between Adelaide and central Australia, and the common name, Sturt's Desert Pea, commemorates a notable explorer of inland Australia, as well as indicating the plant's habitat and family. Sturt's journal, Narrative of an Expedition into Central Australia, refers several times to the beauty of the desert pea in flower and the harsh nature of its habitat. Overwatering and underwatering exhibit the same symptoms. If it's underwatering, you need to give it more water. If it's overwatering, there could also be some sort of fungal infection going on. That will clog up the water vessels and prevent them from conducting the water that the shrub needs. If you can, get under the shrub and dig down about 6 inches . You should be able to judge then what your water situation is. Another possibility is that you have very heavy (clay-like) soil and the water is not percolating down through the soil and the shrub is sitting in a bathtub like environment and the plant cannot breathe; it is drowning. Ceanothus should not need more than occasional watering besides rainfall. It also look like there is considerable undergrowth. You might want to consider trimming these shrubs back in the spring. Trim the previous season's growth by about one-third in spring. More if needed. This fungus first appears as isolated wefts of fine, gray-white, powdery growth on the upper surface of the grass leaf. This growth rapidly becomes more dense and may cover the entire leaf, giving the leaf a gray-white appearance. 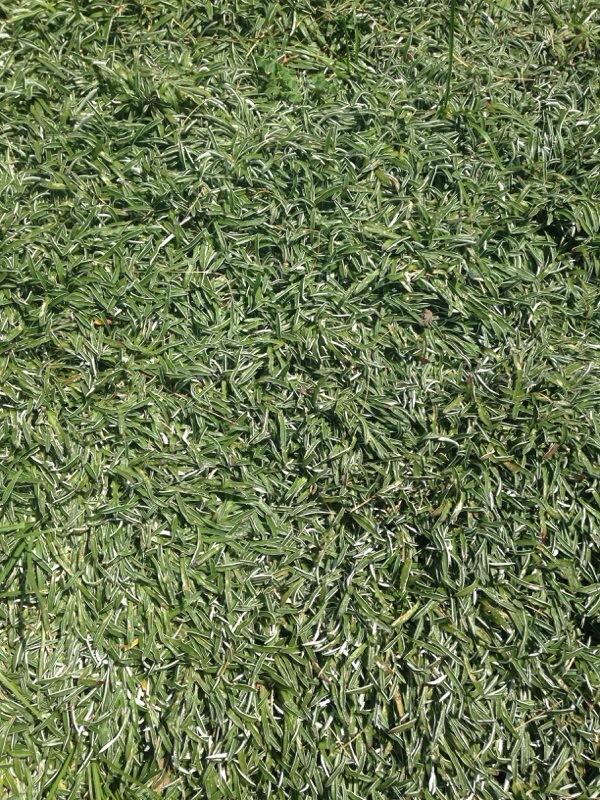 In severe outbreaks, entire portions of the turf stand may be dull white, rather than green. Individual leaves look as though they are covered with flour or white powder. The causal organism overwinters in dead grass and in infected living grass plants. Spores of the fungus spread by wind to leaves of other turfgrass plants. Conditions favorable for powdery mildew development include poor air circulation, high atmospheric humidity (but no free water on the leaf surfaces), low light intensity or shade, and cool air temperatures. 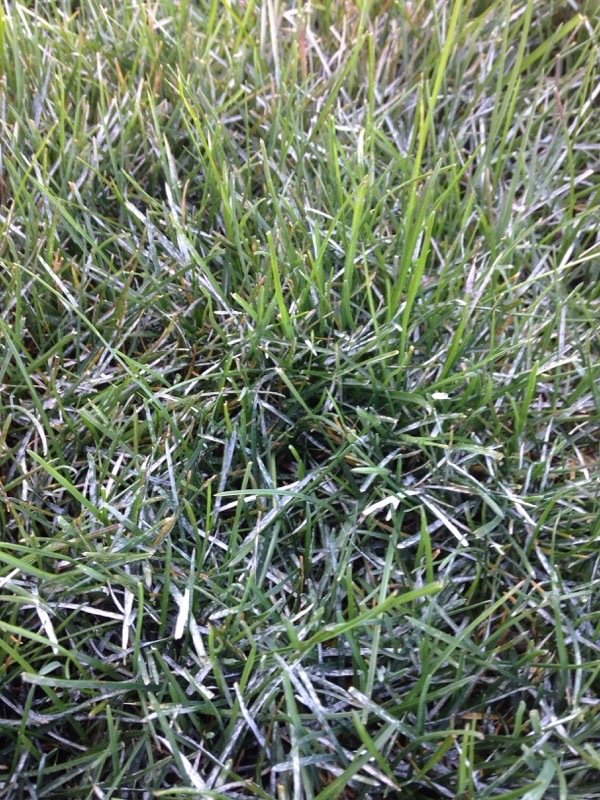 Kentucky bluegrass, when planted in shaded areas, is particularly susceptible to this disease.Where occurrence of powdery mildew is frequent, changing landscape plantings to improve air drainage and reduce turf shading will aid in disease reduction. Prune overstory trees to allow sunlight to reach the turfgrass. Turfgrass species differ in their susceptibility to powdery mildew. Kentucky bluegrass, for example, is quite susceptible to this disease, whereas the fine fescues and tall fescue are quite resistant. Fungicides, except for highly managed turf areas, are not necessary.